The Goodwin family established the C. Wallis Goodwin Memorial Scholarship to honor a college bound senior at Cumberland Regional High School who has provided voluntary service to his or her community. Savannah Soone is the 2018 recipient of the C. Wallis Goodwin Memorial Scholarship. Savannah will be attending Cumberland County College in the fall. Congratulations Savannah! Meghan Glaspey is the 2017 recipient of the C. Wallis Goodwin Memorial Scholarship. Meghan will be attending Elizabethtown College in the fall where she plans to major in occupational therapy. Congratulations Meghan! Zachary E. Hughes is the recipient of the 2016 C. Wallis Goodwin Memorial Scholarship, which was awarded on June 9, 2016. Zachary is a resident of Greenwich, NJ. Zack will be attending Rowan University in the fall and plans to major in psychology. Congratulations Zack! The 2015 C. Wallis Goodwin Memorial Scholarship was awarded to Paige Peploe. Paige will attend Rutgers University in the fall. Congratulations Paige! On June 12, 2014, the 2014 C. Wallis Goodwin Memorial Scholarship was awarded to Craig M. Ricci. Craig will attend the University of Delaware to study Plant Science in the honors program. Congratulations and good luck, Craig! The 2013 C. Wallis Goodwin Memorial Scholarship was awarded to Antik Patel. He will attend Drexel University to major in Biology, and he plans to become an orthopedic surgeon. Congratulations and good luck, Antik! 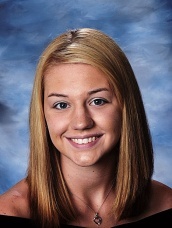 The 2012 C. Wallis Goodwin Memorial Scholarship was awarded to Karli Sipps on 12 June 2012. Karli plans to attend Georgia Tech in the fall and major in engineering. Congratulations and good luck, Karli! The 2011 C. Wallis Goodwin Memorial Scholarship was awarded to Abigail Freitag in June. Abigail plans to attend Villanova University in the fall. In June 2010, the Goodwin family was pleased to award the second C. Wallis Goodwin Memorial Scholarship to Cumberland Regional High School graduating senior, Megan Daddario. 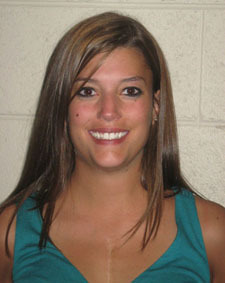 Megan attended Eastern University as a nursing major. 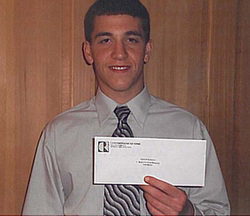 In June 2009, the Goodwin family awarded the first C. Wallis Goodwin Memorial Scholarship to Cumberland Regional High School graduate, Matthew Randazzo. Matthew attends Penn State.